Several names come to mind when the word neo-soul is mentioned. The throwback soul movement was dominant in the late 90s and early 00s before fizzling. While it never died completely, after a while, it cooled off. Returning to the initial point, one of the names uttered when neo-soul is uttered is Angie Stone, a proponent of the movement. Quite possibly the closest vocalist in tone to Gladys Knight, Angie Stone has never received her just due, nor has she let being underrated hold her back. On her seventh studio album and first for Shanachie, Dream, Angie Stone sounds as invigorated as ever, clinging true to her soulful roots while sounding fresh. Working with renowned producer Walter Milsap III, Stone shines once again on Dream. When it’s all said and done, how does Ms. Stone’s seventh studio album stack up? Dream is another well-rounded, enjoyable album from one of R&B’s greatest voices. Arguably, Dream is Stone’s best album in years, possibly dating back to 2004 neo-soul classic Stone Love. Comparisons aside, something that has always remained consistent about Stone is her vocal ability. Voices like Stone’s are once in a lifetime, God-given gifts and regardless of the lot she’s been given in the music industry being underrated, her talent shines through and remains undeniable and indisputable. 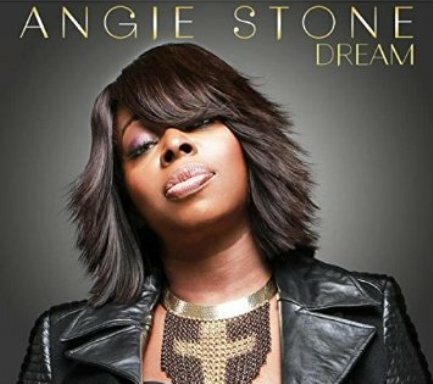 One Response to "Angie Stone | Dream"